Robert Guthrie was born June 28th, 1916. 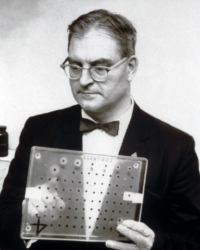 He invented the possibility for newborn screening. This test is also known as the “Guthrie test”. If you want to learn more about Robert Guthrie, you may want to visit the Robert Guthrie Legacy Project. Horst Bickel was born June 28th, 1918. 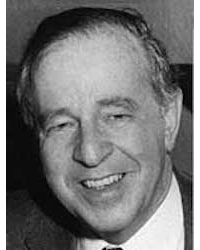 He was first to develeop a low-protein diet for PKU and establish screening in Germany. If you want to learn more about Horst Bickel, you may want to read his Wikipedia article. International PKU Day was an idea born by the E.S.PKU (European Society for Phenylketonuria and Allied Disorders Treated as Phenylketonuria). Supported by the delegates the first PKU Day took place in 2013. Inspired by the idea of the Rare Disease Day, which takes place every year, but focuses on a wide variety of diseases, PKU Day marks a special day for Phenylketonuria each year. Continue reading to learn more about the idea behind the International PKU Day. Spreading the word about Phenylketonuria (PKU) is very important. There are different things that can take place on PKU Day. Every engagement counts. You can view this video, showing a great event that has been hosted by the Croatian PKU society on a recent PKU Day. Also you may want to read on if you are not familiar with Phenylketonuria (PKU) and learn more about it. If you are interested to do something yourself on PKUDay, you can download all our media files. PKU is an inherited disorder, caused by a faulty gene. People with PKU are born with a deficiency of a liver enzyme called phenylalanine hydroxylase (PAH). PAH is needed to process an amino acid called phenylalanine (Phe), found in foods containing protein. (Protein is made up of around 20 separate building blocks called amino acids). High protein foods include dairy products, red meat, chicken, fish, eggs, nuts, beans and lentils. Usually, when we eat protein, it is broken down into different amino acids and used for growth, functioning and repair of the body. Because people with PKU can’t break down phenylalanine in the usual way, it builds up in the blood and damages the brain. People with PKU need phenylalanine, but only a small amount. People with PKU cannot break down foods containing protein in the usual way. When PKU is detected early and treated with a special diet, children are able to reach their full potential. Finding out your child has PKU always happens suddenly and unexpectedly. The news of the diagnosis is a shock. Most parents have never heard of PKU, so receiving the diagnosis can be frightening and confusing. All babies born in most countries in Europe are tested for PKU soon after birth, usually the second or third day. A blood sample is taken from a needle prick on the heel, and the phenylalanine level is measured. If it is high, more tests are done to confirm that the baby has PKU. As soon as the diagnosis is made, the baby is given a special formula (also called a supplement) to lower the phenylalanine to a safe level. Before birth, the mother’s blood circulation can deal with the baby’s phenylalanine and the level stays within the normal range. Immediately after birth it starts to rise. Maintaining the diet in childhood is essential to prevent damage to the growing brain. It is recommended that the diet is continued for life.